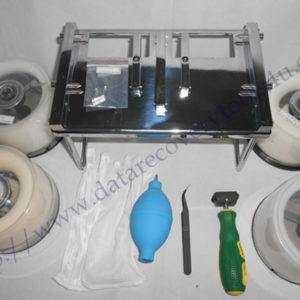 Recently Dolphin team have got some hard drive data recovery cases by hdd altitude sickness. Those clients never expected the failure on their perfectly working pc while they just come back from travelling of mountain climbing. Dolphin clean room engineers went to the clean room, opened the hard drives and got them working again, one case with head swap and one case without even head swap, just got the heads back to the parking zone. Altitude sickness is likely to happen to human above 2400 meters. Altitude sickness symptoms include headache, fatigue, stomach illness, dizziness, and sleep disturbance. However we have learned from our lab data recovery cases that some HDDs can have altitude problems too. Many users will carry laptops or 1.8-inch laptop mechanical HDD DV when traveling to Tibet or high-altitude areas, in the highlands DV HDD occur suddenly abnormal sound or being unrecognized. We have found the HDD heads are not properly parked in the landing zone, but remain stuck on the platter. In data recovery industry, this head physical failure is called “stuck head”, a stuck head HDD cannot power on properly and will give beep sound. 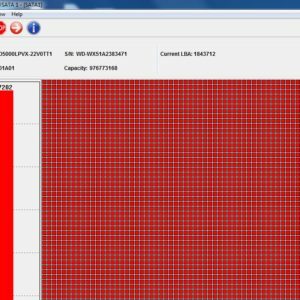 HDD altitude problem is caused by how it works. When HDD is working, the platter is spinning and when it reaches certain rotation speed, head will leave parking ramp and float on the platter for read/write operations thanks to the upward thrust of the air flow. However, on the highland, the pressure is low and air is thinner, even if the rotation speed is OK, the thrust generated by the air flow is not enough to hold up the head, the head is stuck on the platter. We should avoid using laptops or HDD DV/cameras on the highland. For long-term stay on the highland, use SSD. If your hard drive has produced “altitude sickness”, do not repeatedly restart the computer, because this can cause platter scratch and permanent data loss.